Wow! Here’s a great savings on an awesome Solia hair dryer. 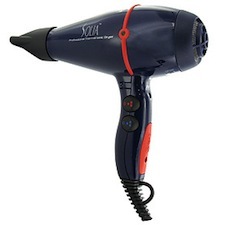 Through tomorrow, August 15th, get the Solia 1875W Thermal Ionic Hair Dryer for just $50! To get this deal, just search for the SKU A8693 add the hair dryer to your cart. Enter coupon code SOLIA50APP at checkout, and the price will drop to just $50. Shipping is FREE on orders of $50 or more at Folica.com, so your total will be just $50 shipped! That’s a savings of $109.95 off the regular retail price. Make sure you grab this deal soon, as this is the best deal I’ve seen on these so far.